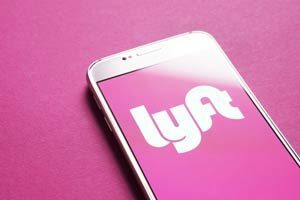 According to a press release from Dec. 6, Lyft confidentially submitted a draft statement to the U.S. Securities and Exchange Commission announcing plans to list its common stock publicly. That filing beat Uber's IPO filing by a day. Plus, Lyft plans to go public before Uber, eyeing an early 2019 IPO date. And these blockbuster IPOs are just two of at least ten companies with a valuations above $1 billion going public in 2019. But the Uber and Lyft IPOs are going take center stage. Although both companies operate in the ride-sharing space, they both have very different business models and offer different streams of services to grow their revenue and profits. Lyft will have a significantly smaller market capitalization than its rival Uber after both go public. Following a private fundraising event in 2018, Lyft's valuation was set around $15 billion. That figure represents about a quarter of its rival's valuation. When Lyft does go public, it could see a market capitalization of about $20 billion, while Uber is reportedly looking at a possible valuation of $120 billion. But size doesn't tell the full story here. Uber has been plagued by scandals, while Lyft powers on. Uber was mired in a battle with Alphabet Inc. (NASDAQ: GOOGL) over self-driving car technology Uber is accused of stealing. Uber agreed to settle the case for $245 million and $72 billion worth of equity. That came after founder and former CEO Travis Kalanick was ousted from the company amid accusations of poor management and a culture that allowed sexual harassment. Now Uber is still fighting accusations from city and state governments that the company tried to subvert law enforcement using deceptive software. Lyft has so far avoided similar scandals.